Package includes: Hand Held Ultrasound Unit, Hard Carry Case, A/C 110V Adapter, Water Soluble Ultrasound Gel, and Instruction Manual. Thank you for shopping at BraceMart! Also available in a bundle! *This item is NON-REFUNDABLE due to hygiene and for consumer safety reasons, if used, unless there is a defect in materials and workmanship within the warranty period. No Exceptions. Therapeutic ultrasound is a treatment modality commonly used in physical therapy. It is used to provide deep heating to soft tissues in the body. These include muscles, tendons, joints, and ligaments. 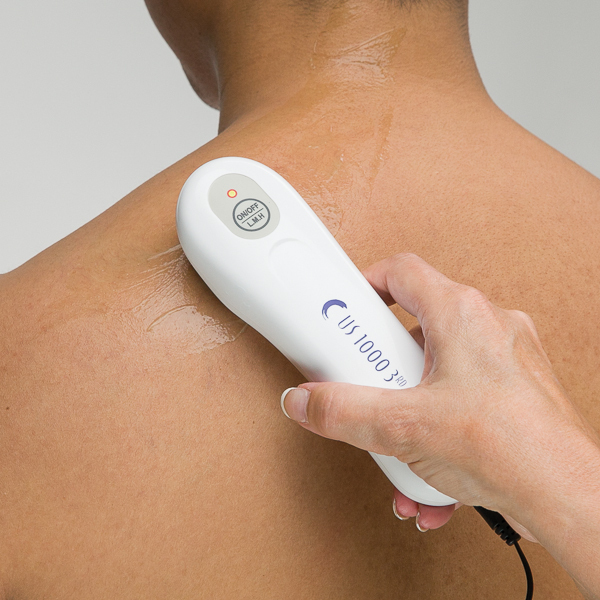 What does ultrasound do to muscles? 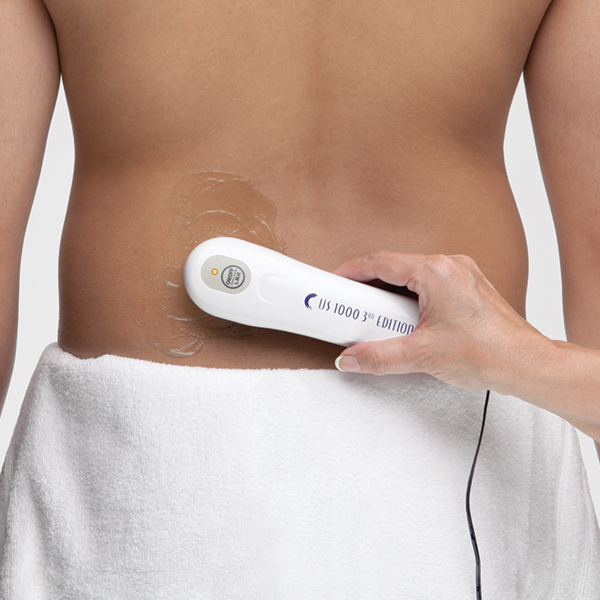 Ultrasound is a passive modality, meaning a treatment your physical therapist administers. It is a supplement to the primary treatment (eg, therapeutic stretching, exercise). Ultrasound can help relax tight muscles that are sore, and warms muscles and soft tissues, which increases circulation that helps healing. This little goody is magical! I originally bought it for plantar fasciitis, and it's been helping with that, but then I started using it on my Achilles tendon too, and WOW! The pain there is gone completely. I can't believe how well it worked. THANK YOU BRACEMART!!! I have to admit that I was a bit skeptical when placing my order. But I can honestly say that my skepticism was completely unwarranted. I'm using US to facilitate the healing process for an injured tendon (inner-elbow just above the elbow joint). After a couple months of daily treatment, I'm about 90% healed. I should also mention that I ordered a medicated gel from another vendor, which may be a contributing factor in the healing process. Not sure, but with its aromatic and cooling effect it certainly leaves me with that impression. This device feels of sound quality and performs as advertised. However, I should add that this is the only device I've ever used, so my opinion should be read in that context. Five stars! Have been using for roughly a week and very pleased with the results. I would recommend that you buy extra gel, it goes fast! Thank you BraceMart for taking to the time to help me with this product. It works great and my plantar problem is quickly residing. I feel like this is the product I wanted. I chose this one for my pain and it seems to be helping.